Just down to adding the labels which I will finish tonight with a bit of luck. 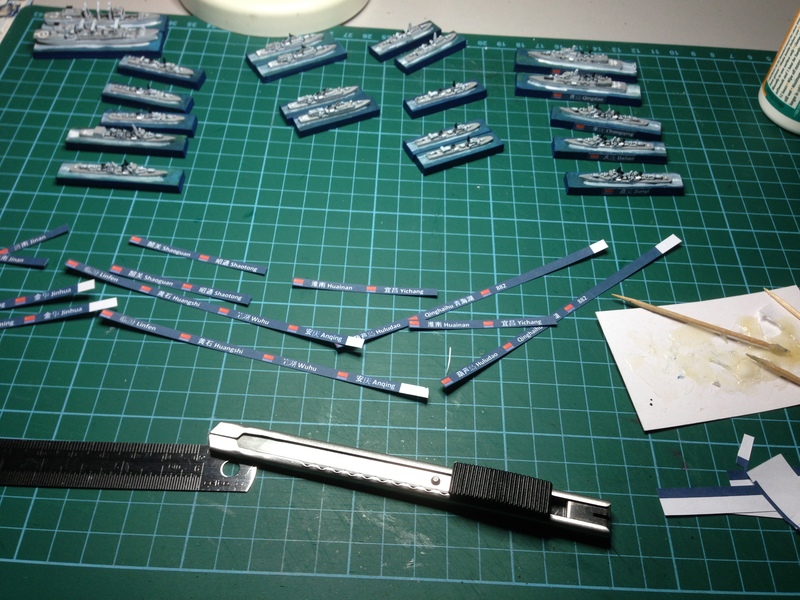 After that, wait 24 hours for all glue to dry and then a varnish in a satin finish acrylic varnish and they are done, ready to face the might of the Indian Navy. Their biggest advantage is the size of the PLAN carrier, the Liaoning. Their disadvantage with that is that the Indians have been operating carriers for a number of years. One project for 2013 almost completed … oh, except for the bloody aircraft!